Description: Demonstrations associated with murder and funeral of civil rights leader Vernon Dahmer, January 1966, Hattiesburg (Miss.). 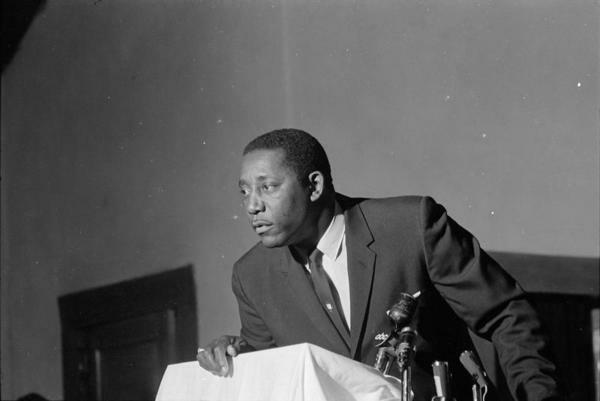 Charles Evers, state NAACP field secretary, speaks at podium, unidentified location and date. Possibly one of nightly meetings held at St. James Christian Methodist Episcopal Church in the week prior to the January 15 funeral.